Have you seen something different alongside Putney Embankment recently? As part of the recent For Fish’s Sake Campaign that is being brought to Putney in partnership with Hubbub, the Port of London Authority, Wandsworth Council and Positively Putney, the campaign has created an installation to show the importance of the embankment and what it means to the people who live and work in the area. Hubbub’s research has found that 7 in 10 Londoners think that the River Thames is too polluted for fish to be able to survive. In fact, the River Thames is home to 125 species of fish, as well as other wildlife such as seals, otters, dolphins, seahorse and many more birds than you think. Polluted waterways, such as the River Thames are a global issue because rivers, seas and oceans are all connected. It is known that 80% of ocean plastic comes from land-based sources. Litter in both the river and the ocean are being eaten by and harming birds, fish and other species. For those who prefer pound signs to porpoises, the Thames is worth £40 billion to the UK economy and provides 140,000 jobs. 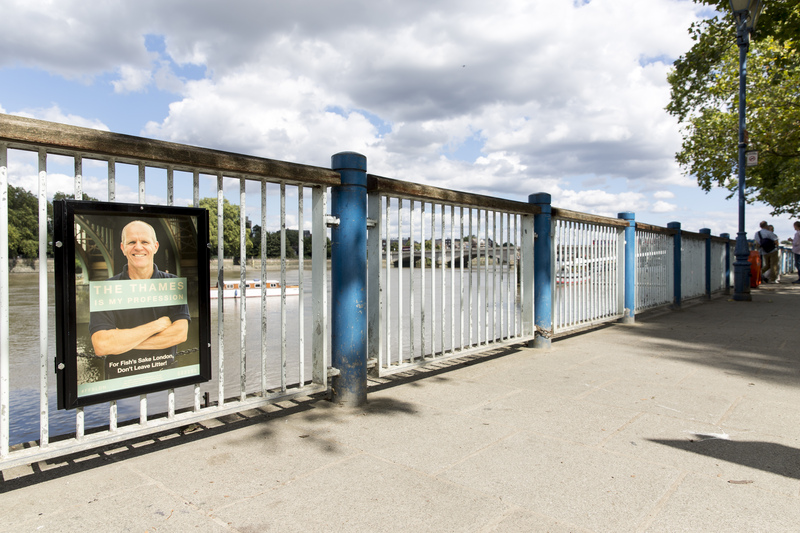 One of our People of Putney installations features Chas Newen who has worked on the Thames all his life. He has served as Master of the Company of Watermen and Lightermen of the River Thames and owns the specialist boat hire and sales shop in Putney. Another person featured in our installations is Simon Clarke who lives in the last Thames Sailing Barge ever made. He runs Thames Explorer, a charity educating and engaging people with the river. Take a walk down Putney Embankment and check out all the other people from the local area who feature in the People of Putney series. 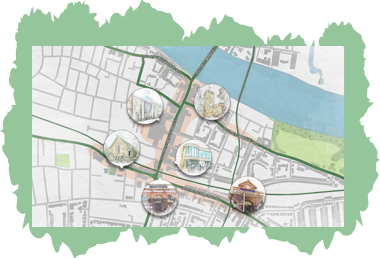 Why not come down on Saturday 8th September for our Summer Party in St Mary’s Square and Putney Wharf and check out the installations whilst enjoying the Great River Race? And head to the Putney Foreshore Festival on Saturday 23rd September and swap your trashy litter for some treats!